The New Age brought about a new race. 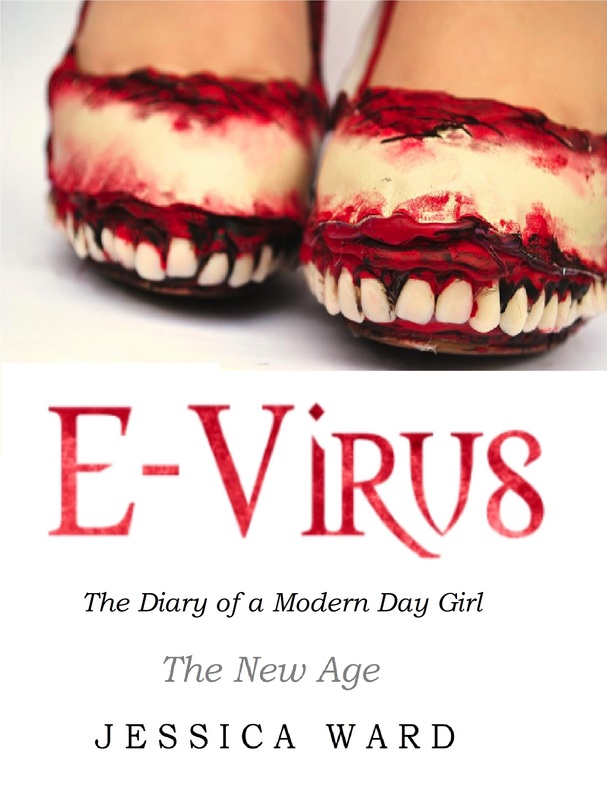 As the E Virus swept through the nations it destroyed everything in its path. The monsters that rose from the ashes consumed what remaining life there was left. They turned the innocent into ravenous flesh eating monsters. There are a few of us, fellow survivors. We haven’t yet succumbed to the virus, nor do we intend to. We spend every day fighting, battling it out to stay alive. We are greatly outnumbered, but that doesn’t stop us. The virus gains further intelligence with each day that passes. We stay alert at all times. We stay in the shadows, as we try to learn more about them. Sometimes they notice us, and when they do we don’t always make it out alive. I see death all around me, so much so that I’m used to it now. Friends, family and loved ones, those are the ones who are no longer with us. There is no cure for the virus, yet we still remain hopeful. It is all we can do. Without hope, we have nothing. We search for fellow survivors, scouring each area we pass through. We don’t stay in one place too long; we learned that the hard way. These creatures are smart. They sniff us out quickly in order to flush us out. We try to stay one step ahead of their game. As time goes on, the harder it becomes. Wherever we go we see death and destruction. The world we once knew is long gone. I cling on to the faint hope that one day our world will come back, but I have to remain realistic. Nothing in my past life could have prepared me for what had come. Not the years spent in school, or the skills I gained in the workplace. I was never a survivalist or an outdoor type. I was just a girl. I had lived a sheltered life; I had become accustomed to the modern day world. But not anymore, that’s all gone now. There are no signs of the technological modern day world we had all once known. Without humanity, our towns and cities have already started to crumble. Plants sprung up from around the concrete slabs, paving the town centres and pathways. Buildings slowly deteriorate as moss and damp encase the windows and doors. Nature is the only element which seems to thrive in the new world, without the human race around to enforce it, nature is free to run its course and take back what humanity stole long ago. I notice the water level has already begun to rise. Whenever it rains, floods occur more often than not. The abandoned drainage system simply cannot cope with the rainfall as water flows freely through the streets. We battled through the harsh winter months. 2015 brought snow, hail and mighty winds. We barely made it through the extreme cold, with the added threat of the infected around each corner; we didn’t think we would make it. The infected are the world’s new top predators. They have evolved and adapted to the new surroundings. They can survive extreme climates, both hot and cold. They do not tire and they do not drink, they have only one instinct, and that is to feed. As my world crashes and burns all around me I feel as if I’m stuck in a nightmare, unable to wake up. But I am awake, and this is my life now. It’s been a few months since we fled from the mansion house. The final day still haunts me. Losing the Professor hit us all so hard; he was our only hope in developing a cure. We had barely escaped with our lives; we hoped the bang on his head had been what killed him, when his head struck the side of the boat. Andy, in his infected state had dragged the Professors pale, limp body back to the shore line as he and Duckface devoured him whole. It was unbearable to watch as Duckface’s greedy claws dug into his skin revealing his internal organs as she fed on his warm flesh. In life, the Professor was the only one of us to show her some compassion. She was a vile creature, even before she turned. She had a murderous and vindictive streak, not to mention the fact she was a bare faced liar. There was no doubt in my mind she had it coming, she deserved her fate and even she knew this. But she wasn’t in a rush to put an end to her selfish ways, taking Andy to the grave alongside her. How Andy turned, we weren’t quite sure. He wasn’t showing any of the signs or symptoms, and as far as we were aware he hadn’t been bitten. He just appeared that day in his infected state as he launched Duckface out that bedroom window. How or why he did what he did, still remains a mystery. We continued on our journey, following the path laid out before us on along the canal system. Where we would end up, none of us knew. The weather had taken a turn for the worst as we continued to ride out the storms that followed. As the days went by, our food supply started to deplete. As the floods hit, we knew our fresh water supply would surely suffer. It became harder and harder to find the resources we so desperately needed to survive. We stayed away from the land as much as possible. As long as we were in the water, the infected couldn’t get to us. The infected remained a constant presence. Their sheer numbers overwhelmed us. As each day passed, the morale of our remaining survival group lessened. We sailed silently through the water, waiting for salvation.